If you’ve ever wondered any one of these questions before, then you’ll love the articles I’ll be throwing at you over the next couple of weeks. Not wanting to bore anyone and in the interest of keeping things fun and exciting—yes, we are allowed to use those words on a preparedness site—I’m not going to do a series all in order on a set number of days on this subject, but have decided that my goal this year has paid off well and I’m comfortable with my resources and personal experiences to help anyone else who’s interested understand this great, invaluable resource. I have to tell you, the more I learn about essential oils, the more amazed I am at just one more miracle that's available to us. It’s also been kind of fun this year as I’ve studied, because so many times I’ll have an “ah ha” moment in which I suddenly understand the history behind certain actions that we still perform today (I personally love those kinds of moments when for just a second things make sense and are reconciled). So, let’s get going and growing. Every year I set a goal to study in one particular field of expertise that I want to really master and learn. This year it was essential oils. After using them successfully for about 10 years, I still felt like such a newbie and that there was so much that I was missing. I’m so glad to tell you that my hard work and time has paid off so far. When it comes to essential oils I feel as excited as I did when I first learned about scrapbooking. That’s pretty excited if you consider the fact that my husband had to build me two closets to keep all of my scrapbooking supplies. As you know, I’ve written numerous times about using essential oils here and there, but today I thought that I would establish a foundation of some general information on essential oils so that you can determine whether or not they should be a part of your preparedness efforts. Today I’m just going to address in what ways essential oils are beneficial to us. Then in the next piece—say, “Essential Oils 201”, I’ll address the fundamentals of selection and storage of essential oils, how to determine which one to use, etc. I may even get into some of the combinations and uses of oils for specific issues. (According to the FDA I can do that as long as such anecdotal information doesn’t come from a company which actually manufactures and/or sells essential oils. Gotta love freedom of speech, eh?) As some of you may already know, every living thing has an electronic frequency—that includes us humans. Each of us has a electronic current pulsing through us at varying frequencies. That’s right. Each of us has a vibrational frequency, otherwise known as megahertz (aka MHZ) (In fact it was a science geek who originated the term “sparkling or electric personality—who knew they had a sense of humor? *grin*). 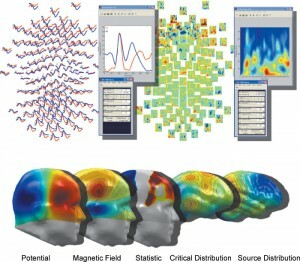 Most people's normal level of brain frequency during normal waking hours of the day is 70-78 megahertz. The healthier and happier you are, the higher the frequency. 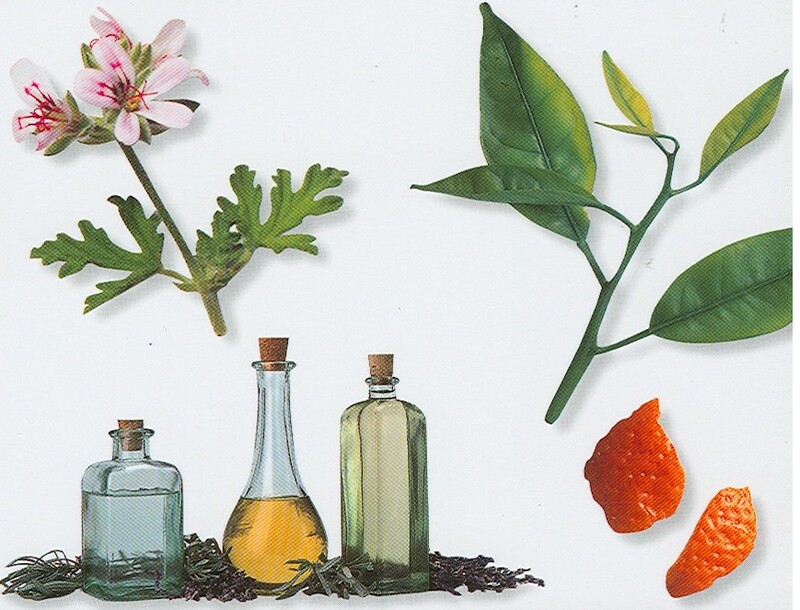 Essential oils are living things as well derived by plants (Note: All plants do not create essential oils). 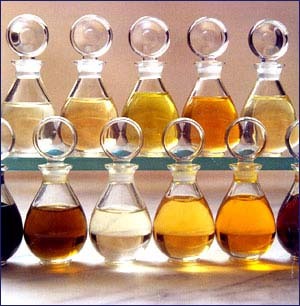 As such essential oils are made up of frequencies ranging in number from 52 MHZ to as high as 320 MHZ. Blossom essential oils, such as rose oil, always have the highest frequencies—which is why the tradition of bringing flowers to someone who was ill has been practiced for literally thousands of years. So, when your frequencies are low due to disease, fatigue, depression, or stress, you can improve the health of your body simply by improving the megahertz level by introducing the frequency of an essential oil. Essential oils add to and supplement your own frequency. So even if you introduced a low frequency essential oil into your body, you would still have an improvement. What this means is regardless of what essential oil you introduce to your body, you will be improving your frequency level which will assist you in combating what ails you. So while yes, some essential oils are even more effective for what’s compromising your health than others, no essential oil will be bad for you. It also should be mentioned that essential oils actually have several times greater frequency levels than herbs and food—so if you are into homeopathic remedies and quality foods for the purpose of better health, I think any repertoire would be incomplete without the benefit of essential oils. When using essential oils, it’s important to understand that true essential oils do not have side effects when used with common sense. A person can overdose on carrots and cause some great discomfort and even turn orange. Likewise, a person can use too much of an otherwise harmless but helpful substance in the form of essential oils. But as a general rule of thumb, it is highly unlikely that you are ever really allergic to an essential oil. While you may have heard stories of folks breaking out in a rash or getting stuffed up because of an essential oil, such an occurrence is not a side effect of the oil. It’s actually a healing or cleansing crisis. Chances are that if the person were to continue using an essential oil they would no longer have such a reaction after a couple of weeks. Think about it this way; pimples, for example, are the result of toxins leaving your body. Sometimes such toxins do not leave gracefully. Sometimes there is such a surge of toxins in our body that they all try to leave the same pore at the same time, thus causing an inflammation (kind of like what happens at Wal-Mart on Black Friday when the doors finally get opened) That doesn’t mean that what you just ate was a toxin, per se, it simply means that your body is getting rid of toxins in your body. Toxins come from what we eat, what we breathe, what we bathe in, etc. and our body miraculously knows to get rid of such toxins as best as we allow it to do so. So, when someone believes they are allergic to a particular essential oil (which is rare, but still possible) the options are to either continue on with that particular oil but at a lower usage amount, e.g. 1 drop instead of 3; try an alternative essential oil instead; or take a break from using that particular oil and then try it again in about 72 hours. So, why does one to three drops of this stuff have any affect our on physical bodies? Because it has a unique attribute that very few nutritional or medicinal products do—it actually goes right to the cellular level! As you know, you’ve got a whole bunch of living cells in your body. 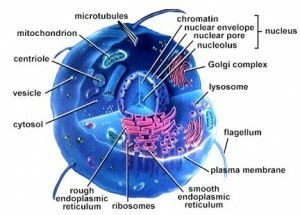 Each of the cells has a membrane to protect it. In some instances that membrane gets beat up and damaged due to free radicals, disease, and abuses we may inflict on our body. Essential oils have the unique ability to actually penetrate even damaged cell walls because the molecules are so small. When you consume a medicine or vitamins, they have to be broken down to small enough molecules so that they can benefit your body. However, there are very few medicinal and nutritional treatments that get broken down and used right to the cellular level. The molecules of essential oils are so small that they get through easily to the cells without having to ask permission from other components of the body (such as the liver, kidney, pancreas, etc.) and they can immediately go to work on the scrubbing and cleaning of the membranes and the cells. Essential oils bring oxygen to the cells, which trigger great healing effects. They are also all anti-bacterial, anti-fungal, anti-viral, anti-infectious, anti-tumoral, anti-parasitic, and antiseptic to some degree or another—with some being more so than others. Even more amazing is that the litany of clinical studies that have been conducted to this extent have all shown that they are able to perform such valuable “anti-functions” without any side effects that are so notorious with pharmaceuticals. Essential oils also activate capillary circulation, so they are a great asset to have post-surgery, etc. Essential oils, particularly lavender and coriander, are effective in helping cell renewal, which makes them great to prevent scarring and for skin care. Understand that one drop of an essential oil is powerful stuff! (Yes, “stuff” is a new medical term I’ve picked up with all of my studying.) It takes one pound of botanical material in order to create one single drop of pure essential oil. So, due to the nature of essential oils and how they can penetrate the cell walls within minutes, it means that in a very short period of time the benefits of this powerful single drop of essential oil can be realized. On the hand though, chemicals, as we get with every single pharmaceutical drug out there, have a hard time making their way to the cellular level. 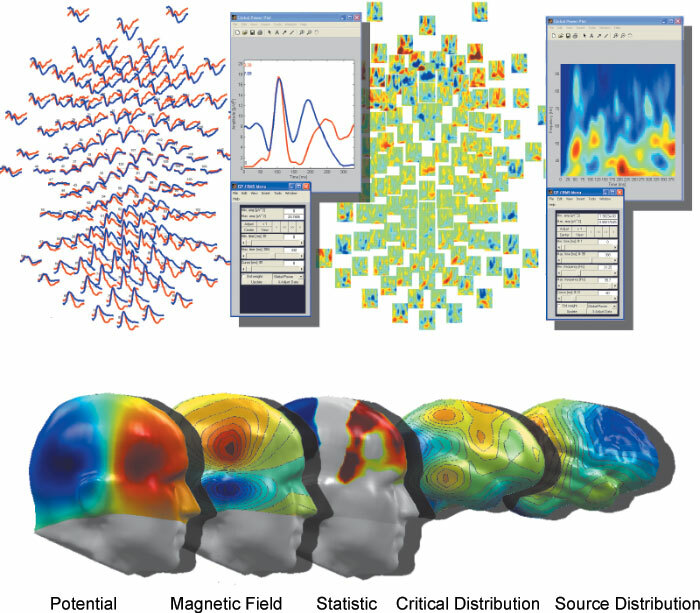 In fact, one of the greatest challenges of chemical research in the medical industry is being able to create a compound that will cross over the blood/brain barrier, thus having an affect on the nervous system. This barrier is the membrane between the circulating blood and the brain that protects the brain from damaging substances affecting the brain tissue and the cerebrospinal fluid. This has been quite the dilemma for the medical industry and more particularly the pharmaceutical industry. Billions of dollars are lying on the table waiting to be claimed by the first drug that can be manufactured to successfully cross over this barrier (Hmmm. I guess God created our bodies to be a bit smarter than the FDA and drug company warlord's eh? Guess that should tell us something). The American Medical Association determined that if they could create a product that could cross over the blood /brain barrier then there would quickly follow cures for Alzheimer’s, Lou Gehrig’s, Down Syndrome, Parkinson’s and other nervous system ailments. Interesting to note though is that sesquiterpenes (pronounced sess-quǐ-tur-peens-- it’s fun to say and you sound so smart when you say it) ARE able to cross over this barrier. Oh, and guess what? Yup, several essential oils are a significant source of sesquiterpenes and do have an amazing affect on the nervous system! (See June, 1994 University of Berlin study) This means that essential oils can actually have an impact that no pharmaceutical compounds could ever hope to! Some good sources of essential oils that are rich is sesquiterpenes are sandalwood, myrrh, and cedarwood. Frankincense also contains sesquiterpenes (yes, I love using this word and saying it out loud while I type) although less than most of the other oils I’ve already mentioned. However, frankincense has a wonderful synergistic effect because of all of its other attributes that makes it a favorite oil to use for sesquiterpene therapy. But we’ll get into the synergistic effect of essential oils in the upcoming articles. I think I’ve given you enough four and five syllable words for one day. Until next time, you may want to do some researching for yourself. If you’re anything like me, you might just get a bit excited at all of the natural, accessible, affordable, and effective options there are for your health in the world of essential oils. I sure am. I recommend this book "Advanced Aromatherapy: The Science of Essential Oil Therapy by Kurt Schnaubelt Ph.D and also check out your local health food store and see if they are offering any essential oils classes. Now, where did I put my favorite sesquiterpene oil? I’m feeling a little discombobulated. 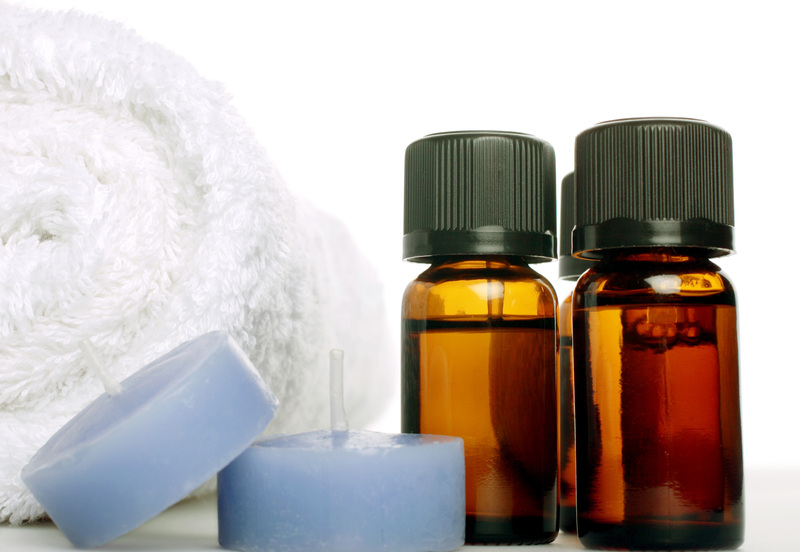 Oh, and yes, essential oils are addictive, but in a really, really great way. Join us on Facebook Follow us on Twitter here To see our upcoming event schedule, click here Check out our in-home-course programs Subscribe to Preparedness Pro today and never miss a thing! For any questions or comments on this article, please leave a comment on the blog site so that everyone can benefit! Copyright Protected 2010, Preparedness Pro and Kellene. All Rights Reserved. No portion of any content on this site may be duplicated, transferred, copied, or published without written permission from the author. However, you are welcome to provide a link to the content on your site or in your written works. This is a great article, can't wait to learn more about them. I have started an herb garden this year, adding not just the culinary ones, but some medicinal ones also. This will just go hand in hand. Thanks. I enjoy using essential oils, bur didn't know the science (frequencies) behind them! I just knew what worked for what. Very interesting. Essential oil molecules are so small that when inhaled through olfactory glands in the nose, they go straight to the lizard brain. It's no wonder we love to smell flowers so much. They bring health to our body by raising our frequency. Jesus is so smart. I have been wanting to learn about essential oils. A friend of mine is seriously into this healing technology. I am now very open to learning. Thank you for taking this on for us Kellene. I am so interested in learning more about essential oils. I have suffered several bouts of cellulitis, been hospitalized with it 5 times, and got no improvement until I started using thieves oil. It has now been a year and 4 months since my last attack. I mix a few drops in the lotion I use on my legs, and put a drop on the bottom of each foot morning and night. As expensive as it is, it's still less than a hospital bill. I will be anxiously awaiting the next article. If anyone is skeptical that such a small amount of a plant product can affect their bodies, have them try this: Rub a little bit of vegetable oil on the sole of your foot. Now rub an open clove of garlic oil over the oil. (The oil keeps the strong garlic from burning you.) The person will be able to taste the garlic in their mouth or smell it on their breath within minutes. Our bodies are amazing! Thanks so much for the great article. As you know I have a badly broken leg (still). I also acquired a very large hole in my leg, which is very subject to infection. About a month ago I found a TV station called VERIA...after watching some of the info on e oils anti viral....anti everything bad properties I started using Oils such as Lemon,cinnamon and lavender.. in my defuser. My house smells great, I feel great and my leg has been on a healing spree. I am on oxygen for breathing problems However I suffer no ill effects from these smells. They are great! Can't wait till the next article. What happens if you use to much essential oil on you hair? I don't know that you can use too much...your scalp might be super sensitive--depending on which one you used--but it won't hurt you. depending on what you used, you might have a headache due to the toxins that are being flushed out. Ultimately, you can simply wash it out with a mild shampoo...although the scent of the essential oil may linger a few days. I am so excited to read the next installment! I just started using lavender essential oil and have had great results with it for the problem I am using it for. I hope you will cover which oil is good for which problem so I can print all the installments off and keep in a notebook with my other "home remdies" to supplement my other preparedness efforts. Thank you for caring enough to help us learn other aspects of preparedness. Hi! I need to spend more time with this, but have read a book called "Coconut Oil Cures" and am very convinced of our need to watch what oils we are using in cooking and eating. I have used coconut oil exclusively for a year now in cooking and as skin oil and love the results. The shelf life was what helped me decide on coconut oil. I need to learn more. I also sell mills so you can mill your grains and have all the nutrition every time no storage for the oils to go rancid. It's the only heathy choice. Thank you, I just started using essential oils about a month ago and at first they were working great but recently I added rosewood oil and baking soda to the mixture I already had and I broke out which never happened to me before even when I was a teenager. I have the dryest skin ever to the point where I am usually itchy and I have eczema so you can imagine my shock. However, I think by adding the extra oils I just need to give my body time to adjust to the new oils instead of calling these oils a failure which I was originally thinking because of the breakouts. Thanks so much for clarifying the problem and the solutions. One possibility: The majority of rosewood oils sold in the U.S. are actually comprised of Ho oil, which does cause a breakout to most people and it's also very hard on the liver. Second possibility: When a rash or breakout on the skin occurs it could be a signal that the liver is overtaxed, as is almost always the case. So nurture your liver. Our bodies "crave what we eat"...inhaling essential oils is nourishing to the body in many different ways, so it's not surprising to me to hear that a person may "crave" the aromatherapeutic benefits of them. However, if you're inhaling harmful essential oils, that are not medicinal grade such as those used in Europe, then yes, it could be harmful because the harmful constituents ARE getting into your body even through inhalation. Just FYI, the Germans used essential oils almost exclusively via inhalation. I see, thank you, appreciate it!! I usually like the smell of tea tree oil and lavender, are these included in "harmful essential oils"? it's not the kind of essential oil that can make an oil harmful as it's the BRAND of essential oil. It all depends on how it's harvested, distilled, etc. Search for the other EO articles on this blog for more information in that regard. Why does the BYEO ask for your social security number before a purchase can be made? I'm not wanting to sell the product, just use it personally. That request makes me hesitate to purchase from the website. Can I purchase from you without having to give you my SS#? Thanks, Kellene! I've really enjoyed reading your articles. Valerie, because BYEO is classified as a multi-level marketing company, they are particularly targeted by ridiculous regulations with the taxation authorities. As such, the gov't assumes that if you enroll with any MLM that you will be doing so to earn an income. So they want to make sure that they are able to TAX you on that income, thus they ask for a SSN. The good news though is yes, you can purchase directly from me; I only offer my products at the wholesale price anyway in order to get them into more people's lives as possible. So just message me in the "contact us" portion of this site, and I'll be happy to help you. Take care!! Where's the rest of this series? I can't seem to find it. Maybe because I'm viewing on a mobile browser? Great article, I'm not sure that you'd include Down Syndrome in your list of what could be cured if they found something to cross the cell barrier because it occurs due to a Chromosome abnormality. But science is learning everyday so maybe I'm missing something.